What happened to your dream? Did you listen to the disbelievers? Did you let life beat it right out of you? Did your career make you take a detour? Did you equate it with a degree? Did you let it slip away and then blame it on the kids? Did the people you love the most talk you out of it? Did she laugh at you? Did he tell you it was out of reach? Did you let their dream overtake yours? 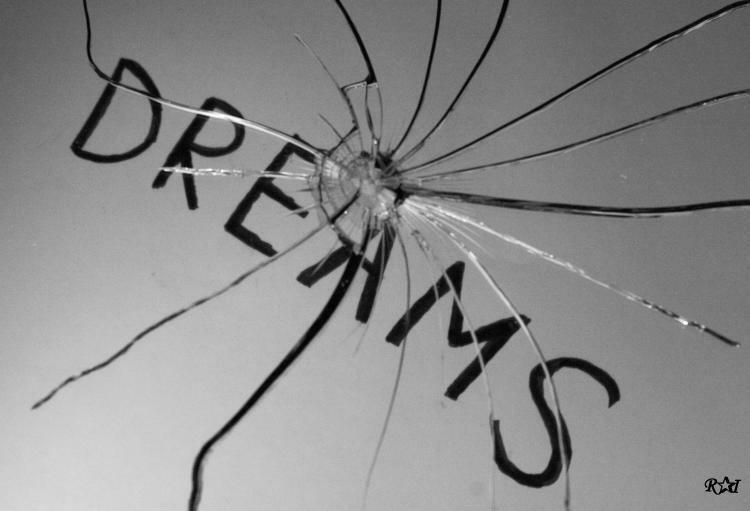 Today, I invite you to “uncrush” your dreams. To go back and find those things that made you feel alive. I challenge you to dig up the memories of your forgotten purpose and dust away the imaginary monsters. To believe in your aspirations, when everyone else is calling you crazy. To tell yourself to shut the hell up when the self-doubt takes over. To uncrush your dreams, you’ll have to be brave. You’ll be required to give up something else that you cherish. You’ll have to lose some sleep and get up earlier the next morning. You will even have to disappoint your spouse, your mother, and your child. To uncrush your dreams, you’ll have to become more disciplined. You’ll have to get focused. You will have to miss a few social engagements. And be ready to piss a few people off. Don’t confuse your dreams with riches, even though many of us will need money to bring our dreams to fruition. Find a way. Make a plan. Take one step at a time. Don’t get distracted. While everyone has to work, use your waking hours to hone your purpose. Find the time. Clear your calendar. Invest a portion of the day to your success. Don’t get dismayed. The road to fulfilling our dreams is filled with obstacles. Doors will be slammed in your face. Find your muscle. Exercise your mind. Believe in the energy that is brewing within. Believe in you. You’ve got one life and the next 24 hours. Let’s begin. Next Post Celebrating a Milestone with One of My Besties!